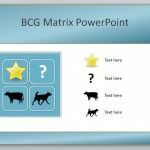 There are lot of diagram designs that we can purchase and download from stock images, but if we are interested to make our own SWOT diagram in PowerPoint then we can use the powerful SmartArt and Shapes feature to design it. Then we can apply some nice styles and effects to make it awesome. 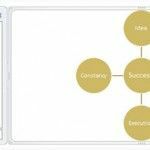 Here we will show you how to make a SWOT diagram so you can use in your marketing plans and business presentations. First, you need to open a blank PowerPoint and then lets see what we can find in the SmartArt Gallery. There are many diagram designs that we can use to decorate our SWOT diagram. 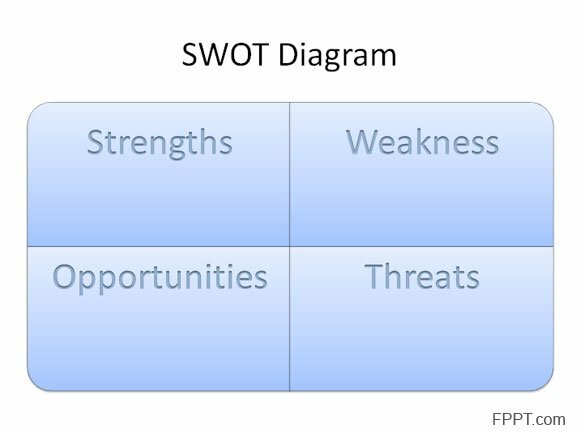 Moreover, a SWOT Diagram can also be represented with a simple table, but the common way to show it is in a grid or matrix view. 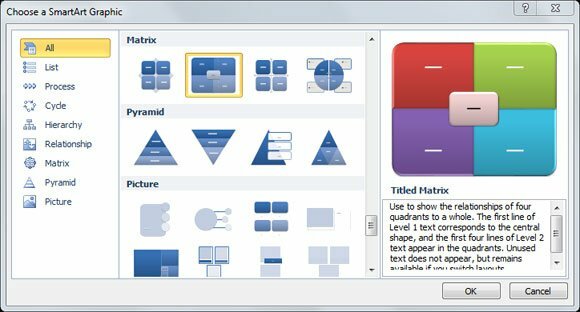 We can use the Title Matrix in SmartArt gallery which is intended to be used to show the relationships of four quadrants to a whole. The first line of Level 1 text corresponds to the central shape, and the first four lines of Level 2 text appear in the quadrants. Unused text does not appear, but remains available if you switch layouts. When we insert the matrix in the slide we can fill the quadrants. Here we will add Strengths, Weakness, Opportunities and Threats. Don’t worry for the format, we can change it in the later step. 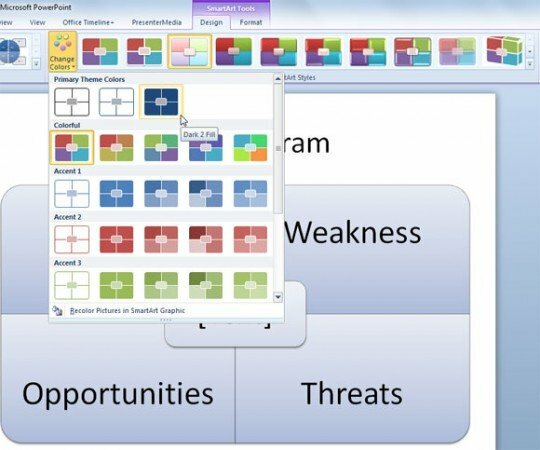 Alternatively, you can change the quadrant colors for example to match different colors for each element in the SWOT diagram. We will show you in this image how we can replace the colors by clicking on Change Colors and SmartArt Styles. Recolor Pictures in SmartArt Gallery will recolor the examples that you see in the gallery, which is helpful to see a preview how it will look before you apply the styles. 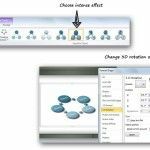 However, remember that you can play with every new style and experiment how it will look, if you finally don’t like how it look then you can Undo changes in PowerPoint. As we said earlier, we will change the format and effects. You can for example remove the central text, but before we do this we need to convert the SmartArt graphic to simple shapes. We already learnt how to do it in How to convert Smart Art to Shapes using SmartArt as a Pro. 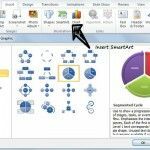 Quickly, to convert the SmartArt Graphic to Shapes you need to click on the Convert to Shapes button which is located under the Design menu. 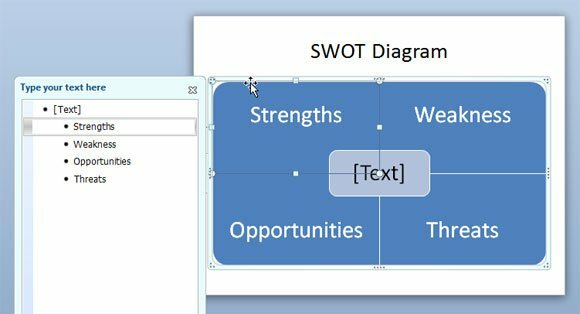 Finally, applying some additional changes and effects you can get a nice SWOT diagram for free using PowerPoint and shapes. 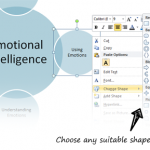 Remove the central text shape once the Smart Art graphic is converted to Shapes. Format the text on every quadrant and move it to the top of the text box. Apply the text styles like the bevel text style in PowerPoint.